Author J Moffet Walker, who wrote Blueprints of Sir Michael and Muh, will be appearing at the Quisenberry Public Library in Clinton, MS on February 16, 2013. We encourage you to go out and see her! Now a resident of Clinton, J. Moffett Walker was born and reared in rural Edwards, Mississippi. She earned a Bachelor’s degree from Jackson State University, Jackson, Mississippi; a Master’s degree in Personnel and Guidance from Purdue University, Hammond, Indiana; and completed an additional 30 hours of coursework at Indiana University, Bloomington, Indiana. During her elementary school years, she became fascinated with putting words together and rearranging those same words to express different thoughts and feelings. Her parents (who taught her in the elementary grades), her husband, and her three sons all encouraged her to pursue her writing dreams. Moreover, the late Dr. Margaret Walker Alexander inspired her to write, and the late Professor Charles Tinkham motivated her to publish. She currently enjoys speaking to book clubs, schools, churches, and other social groups about writing. Ms. Walker cherishes having had the opportunity to teach English and social studies in McComb, Mississippi, and English and reading in Pine Ridge, South Dakota on an Indian reservation. In Gary, Indiana, she taught English for several years and counseled middle school students for 29 years. Vampire author Linda C DeLeon has released two books: “Veil of Time” and “Fall Into Darkness”. Her books are available at the Boutique du Vampyre in New Orleans; Book People in Austin, TN; and Acorn Books in Dover, DE. As part of her celebration of being placed in these stores, she most recent book signing was at Acorn Books in Dover, DE on Friday, Jan. 11th from 5p-8p. Hope you were able to come by and say Hi! Linda C DeLeon was born in northeast Louisiana and raised in Vicksburg, MS, where she now lives with her husband and son. She works as a registered nurse in the emergency room. It was at work that she began to entertain the idea of writing a book. With the encouragement of other nurses, she began to write. The entertainment she provided them began an obsession for her. It was here that she combined her love of history and fascination of vampires. The new found hobby provided the stress- relief she had been searching for. “Fall Into Darkness” is the prequel to her first book, “Veil Of Time”. ((This bio and her books are courtesy of Author House)). Visit Linda C. DeLeon on Facebook and on her site at http://www.ldeleonbooks.com or see her at Acorn Books on January 11, 2013! Imagicopter celebrating Year Three at Booksellers at Laurelwood in Memphis, TN from Aug 23-25, 2011! Please come out and support your local talent! Laurelwood also has a restaurant area in case you want to read and eat! Come on out and see us! Come out and see her! How did we evolve? Did we have help? In a world torn apart by cataclysmic climate changes, survivors learn answers to these immortal questions as they join together based on their love of various dog breeds. Two voices, the weimaraner Haint and his mistress Amanda, tell the story of how each in their own way come to the realization of what they mean to each other. Along the way, Haint explains how his species came to help humans along in their evolutionary development. Haint also reveals that the world is becoming inhabitable for humans and dogs so he and his kind must make the decision whether to save themselves and what they have learned over the thousands of years on Earth or stay and take their chances with the doomed humans. Amanda, accompanied by her friends Kern and Liddy and their canine familiars Haint and Cloudy, travel across a landscape with violent weather and competing tribes as they look for a way to save their “breed” from drought. During the trip they take on an enigmatic young girl who is much more than she appears. Haint is the story of lives entangled over thousands of years and hundreds of lifetimes as dogs and humans discover the depths of their love for each other. Have you ever wondered what the animals around you are thinking? 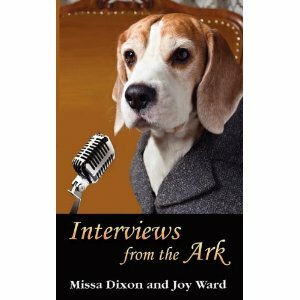 So did noted interviewer Joy Ward until she teamed up with gifted animal translator Missa Dixon. Dixon has had the ability to understand and communicate with all kinds of animals for as long as she can remember. Now, Dixon and Ward open up a world that few could imagine. In Interviews from the Ark you’ll meet a Bernese Mountain Dog who helps children learn to read to repay a karmic debt. There’s an opossum who wants to be human. One chinchilla works hard keeping his household calm and centered. Dogs, cats, birds, a tiger, a horse, an alpaca, a beaver, a rat, an elephant and others tell us about their lives, their dreams and their advice. Want to learn more about the author? Go see her at http://www.joyward.net/! In or around Southaven, Mississippi on Sunday, March 27, between 2P and 5P and looking for something to do? See Alexander S. Brown, Allan Wildmon, and Greg Overman at the M. R. Davis Public Library. Be sure to get a copy of Alexander S. Brown’s book, TRAUMATIZED, and have it signed! 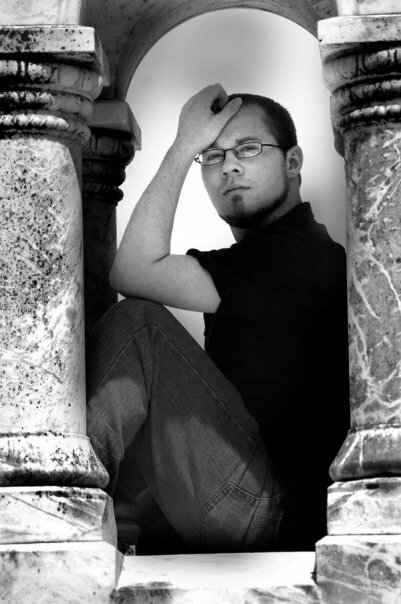 Horror author, Alexander S. Brown will sign copies of his book,TRAUMATIZED. Fee for signed paperbacks are $20.00 ea. This will be a multi-author event, and you are invited.